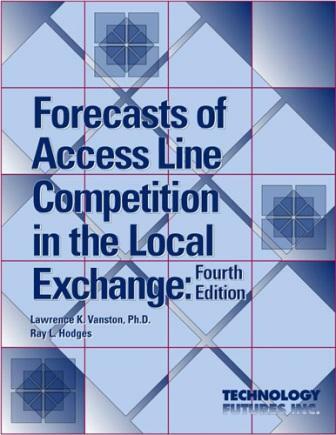 By Lawrence K. Vanston, Ph.D.
Competition is having a major impact on incumbent local exchange carriers. This report documents TFI's latest forecasts of the future of competition in the local exchange and its impact on the incumbent local exchange. *Texas residents add 7.25% (Austin, Texas 8.25%) sales tax. Call for TTFG member prices and volume discounts.